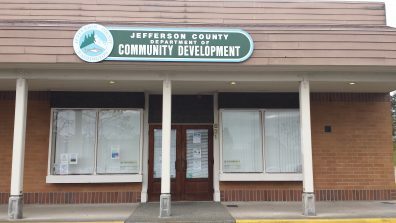 Port Townsend’s Plant Clinic is located in the Community Development Office, 621 Sheridan Street in the same complex as the QFC and JC Health Dept. Port Hadlock’s Plant Clinic is located at the WSU Extension Office at 121 Oak Bay Road, in the Kively Center Complex. Please check the WSU Extension calendar for holiday closures. Master Gardeners can only make an accurate assessment of the client’s issue with a fresh specimen. For plant problem diagnosis we require a representative sample that clearly shows the demarcation between un-healthy and healthy tissue. Pick a fresh plant specimen, put the cut end of the stem in a moist paper towel, and then come to the Plant Clinic. If cut plants are left in sunny or hot location they will wilt excessively thus making diagnosis very difficult. For plant identification we need a representative sample that includes the vegetative portion of the plant (leaves, branches, stems), a portion of the fruiting or flowering structure, and a representative portion of the stem or bark. For insect identification we need an intact specimen brought into us in a small container soon after capture. It is a rare occurrence when samples can not be identified at the WSU Jefferson County Extension Plant Clinic in Port Townsend. If there are instances where a specimen needs to go the WSU Puyallup Research and Extension Center Plant & Insect Diagnostic Laboratory there will be a modest charge for identification and further recommendations.